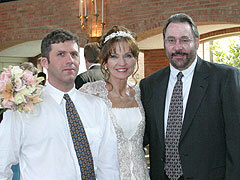 Me, Doug and our sweet Maurice at our Wedding Reception. 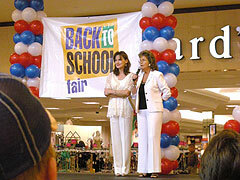 Me and the beautiful Evelyn Moore at one of our many Manners Fashion Shows/Graduations. 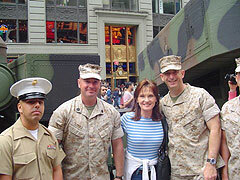 With some of America's Bravest in NYC. With some new guy and girl friends in NYC. 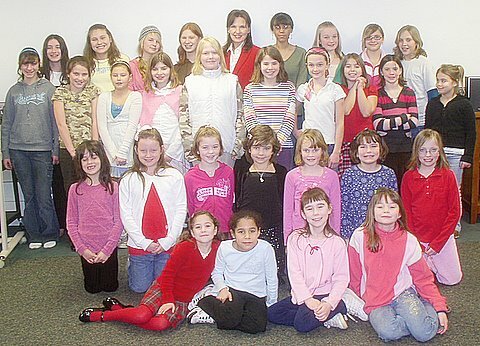 Girls of Grace in Newfane, NY. We had a "manners session" that I taught before the Mother/Daughter Tea in the evening. With my sweet new friends where I sang and spoke in Seattle, WA. 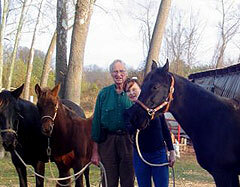 My Dad and me with our horses, Coco, Red Rocket and Sassy in Alabama. 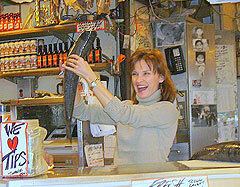 Catching a fish at the Fish Market in Seattle. 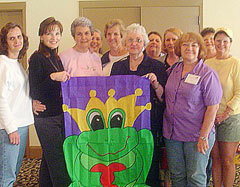 Me with my new friends at a Women's Conference in Myrtle Beach. They gave me this flag after I confessed an unnatural fear of frogs. 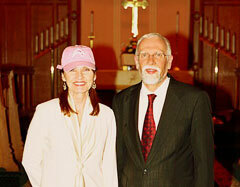 With Pastor Duane Priset of Emmanuel UMC, Lockport, NY. The church gave me this hat from the Buffalo Sabres. 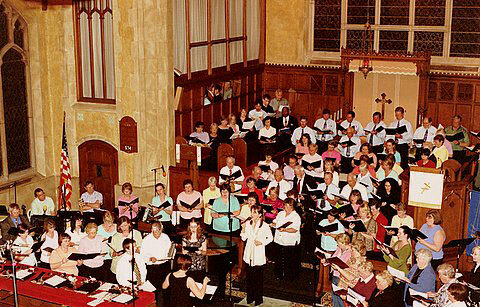 Singing with the choirs at Emmanuel UMC in Lockport, NY. 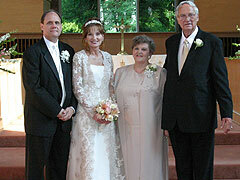 "Doug, my Parents and me at their 50th Wedding Anniversary party." 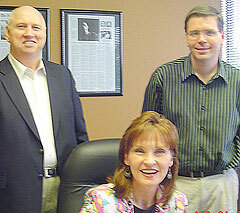 "Signing a new contract with Nashville Speakers Bureau as President Ron Miller and Founder Tim Grable look on." 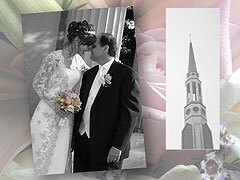 "During a Christmas women's event for Oakland Christian Church in Rochester, MI. Notice, I have a star growing out of my head. 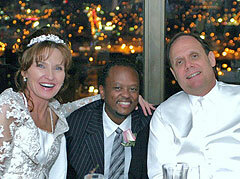 We all had a great time." "My friend Bette with her son Eric at our wedding reception"
"With my new friends at the Women of Virtue conference in Modesto, CA. 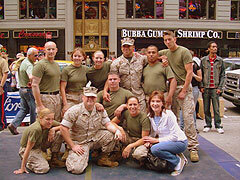 They were a true inspiration to me." 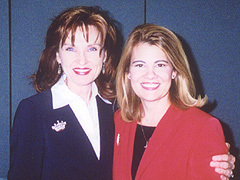 "With my new girlfriend Carleigh Arnold from KAMB Radio Station in Merced,CA"
Bobbie Rill, Linda Mintle, me, Carol Reed and Al Denson at the Women of Virtue Conference in Lansing, MI. Me with new friends after concert in Lockport, NY at Emanuel Methodist Church. 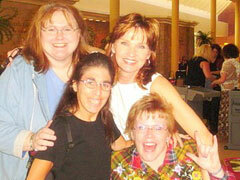 Holly Granat, Korrina Stover, me, Anna Malone, Ronald Malone and Sarah Walker. Me with the children in my Manners Classes after their graduation. 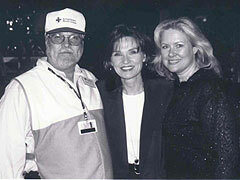 Me with fellow Miss Alabama judges, Jane Bahr, Julian Owen, me, Deidre Downs, Miss America 2005, Rick Pruitt and Libbi Taylor. 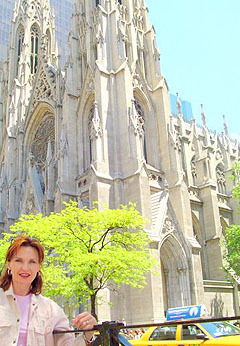 Me in front of Saint Patrick's Cathedral in New York City during my vacation there with Doug. 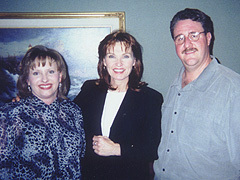 "I was on the air for the morning drive show at KAMY, Lubbock, TX with David Borowsky and Brenda Rincones." 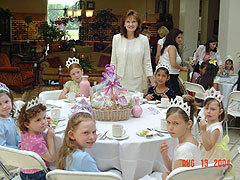 "I hosted a tea party for Drexel Heritage Furniture in Chicago, IL for a hundred little princesses to celebrate the opening of the movie "Princess Diaries Two"." 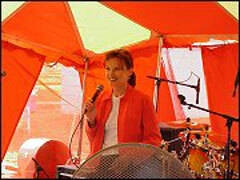 "I did an outdoor concert for KAMY Radio Station in Lubbock, TX." 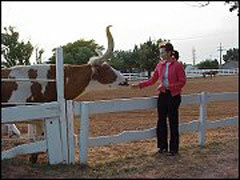 "This cow watched my whole outdoor concert in Lubbock, TX that I did for KAMY. There is a running joke about me and preaching to cows when I was a kid." 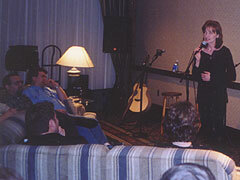 Denise after her concert with Allen Asbury with radio friends from Christian Family Radio in Wisconsin. 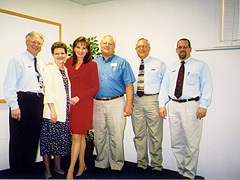 Pictured are Allen's wife Heidi, Allen, Todd Christopher, Denise, Mark Bystrom and Kathy Kexel. 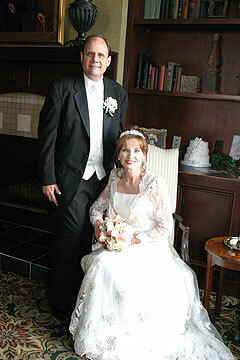 "This of course is me and my new husband Doug Arnold." "I think this picture is cool. 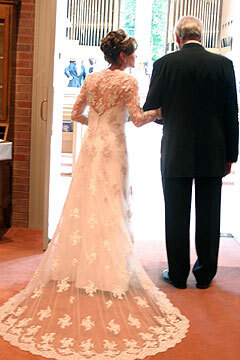 It is, of course, me and my daddy at the start of the wedding. " 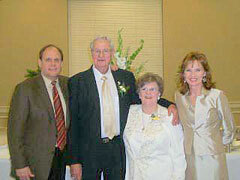 "Me with Doug, and my parents Willodean and Ellis Davis." 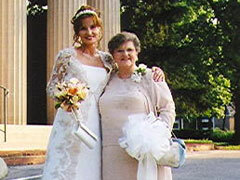 "Me and my mother, the famous Willodean." "Me with Christian Strignano, a co-writer and Johnny Rutenschroer (Apsalm)"
"This is a cool picture of Doug and me." 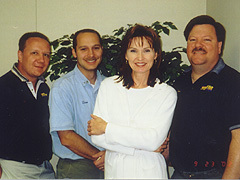 Denise with Wendell Gafford, Creative Promotions and Marc Anderson & Rich Hooper of KCBI in Dallas, TX. 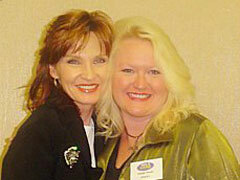 Denise with Faron Ecklebarger, Program Director for KNLB in Lake Havasu City, AZ. 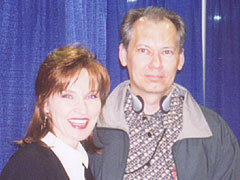 Denise with Ken Brooks, Music Director for KGBI in Omaha, NE. 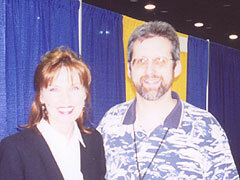 Denise with Paul Cameron, Executive Director & General Manager of Christian Family Radio in Appleton, WI. 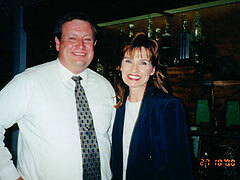 Denise with Bill Nance, Program Director for WFCJ in Dayton, OH. 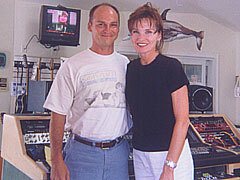 Denise working on the new CD with guitarist Tom Hemby. Here with friends at KAMY, Lubbock, TX. Rob, Dave and Don. She loves west Texas! 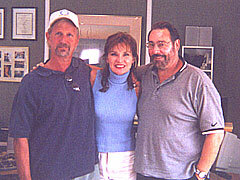 Denise here with her dear friends in Levelland, TX. 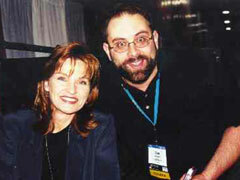 Carol & Harley Reid. 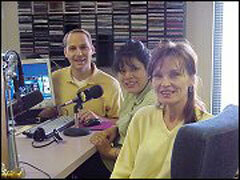 Denise with her friends at KCRN 1340 in San Angelo, TX. Again she says she loves west Texas. 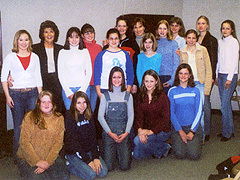 Denise and her partner Evelyn Moore with their teen manners class at Dillard's department store. 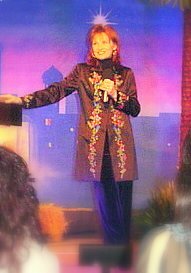 Denise at Women of Virtue Conference where she was the music performer and praise & worship leader. 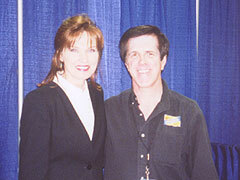 Here with speaker Lisa Welchel of "Facts of Life" fame. 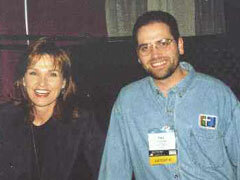 Denise with Paul Perrault, Program Director for Northwestern College Radio in Des Moines, IA. 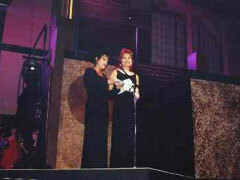 Denise Davis, with Candy Christmas, were presenters at the Dove Awards. Denise sang and spoke at an assembly at Belgreen School. 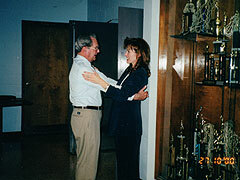 Here she is with Belgreen school Principal, Eddie Britton. 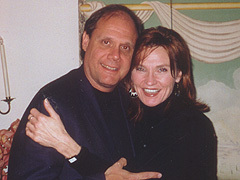 Denise with her Junior-High Principal, Thomas Franks, who is mentioned as her mentor in the liner notes of her "Eternally Grateful" CD.